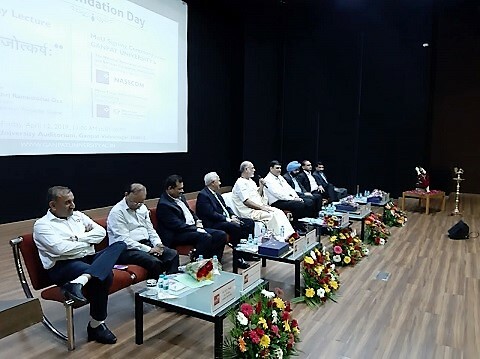 Ganpat University celebrated its 14th Foundation Day in the presence of Pujya Bhaishri on 12th April 2019. The Director of Ganpat University, Shri Sharmaji, welcomed all and the litterateur, Shri Bhagyesh Jha, built the atmosphere with his poetry. The President of the university, Shri Ganpatbhai, welcomed Pujya Bhaishri in his speech. He said that it is a blessing Pujya Bhaishri is present on the occasion when Ganpat University is on its way to becoming an International University. 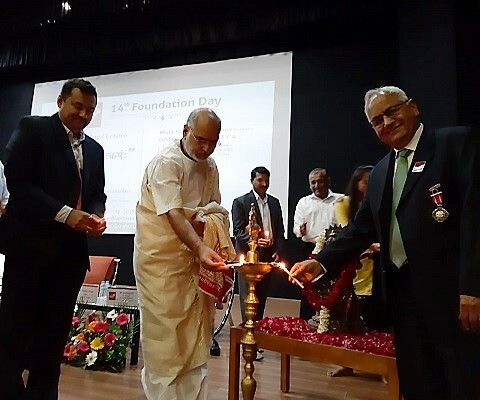 He remembered his vision which is coming to fruition as well as the efforts of Late Shri Anilbhai. On this occasion, Pujya Bhaishri talked on the topic ‘ Gain and spread’. 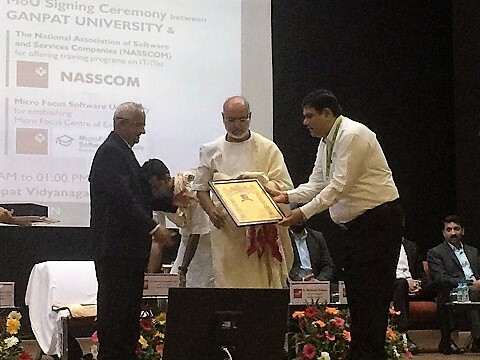 Pujya Bhaishri said that the university will progress on the path of innovation in its aim to develop the country. The university must leave inertness and journey with knowledge, just like Ahalya attained a new life with Shri Ram’s touch, from being a stone. Pujya Bhaishri appealed to promote life values along with access to educational studies.